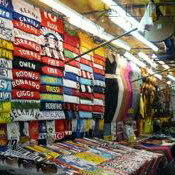 Patpong Night Market is one of the must night shopping destinations in Bangkok. 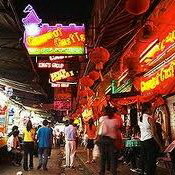 Found in Silom, Patpong is always chaotic and busy with all the commotion from the GO-GO bars nearby and lots of foreign tourists. 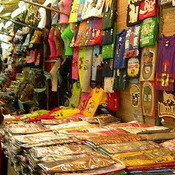 This market in Bangkok's notorious nightlife district is often the first and easiest stop for many tourists just arriving to Bangkok. 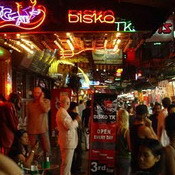 Silom is also flocked with mid-upper end hotels for tourists. 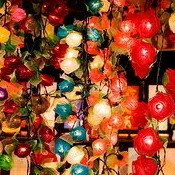 The Sala Daeng skytrain station is approximately 200 metres from the main Patpong area. Simply get off the skytrain and walk down the road - there is a gentle slope going downwards so follow that and you will reach Patpong in less than 5 minutes.